Are you passionate about Customer Service, but hate working odd hours? At Extra Space Storage we offer the best of both worlds! Great environment without the retail hours! 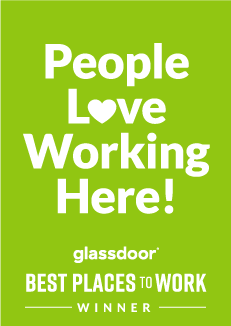 We are the best at getting better and we need engaged employees to join our team as we continue to experience amazing growth. Is your enthusiasm and passion for helping people contagious? Why not bring them to a new workplace where you can really make your mark? If you enjoy working with other highly engaged people, a culture that embraces innovation, delivering world class customer service, and the opportunity to grow your career - then Extra Space Storage is the place for you! The Assistant Manager is critical in creating a welcoming environment, creating the cleanest locations in the industry, and identifying customer needs and exceeding their expectations. Extra Space Storage seeks employees that have entrepreneurial, dedicated, positive attitudes, adaptability to change, and integrity. If you possess these qualities and want to join a dynamic, growing organization, then we are excited to hear from you! As an Assistant Manager you’ll work alongside your team to maximize sales objectives with each prospective customer via the phone, web or in person at your location. Our employees consistently practice exceptional customer service by welcoming future and current customers in a friendly, enthusiastic and professional manner. Assistant Managers work with customers to identify their needs and provide solutions that will enhance their storage experience. You will get the chance to sell high quality merchandise such as boxes, locks, tape and other moving supplies. Our team members enjoy working outdoors. When not taking care of customers in the office, our Assistant Managers spend approximately 50% of their time walking and tending to the property to ensure the facility is kept to the highest of cleanliness standards. This includes cleaning units, sweeping, mopping, changing light bulbs and other general maintenance duties. Successful Assistant Managers need to be able to perform at a high level without constant supervision, but also thrives in a team environment. Note: If you have experience working in any of the following areas, you are encouraged to apply: retail, sales associate, customer service, retail jobs, assistant manager, retail sales, retail store, retail management, retail industry, 5 star customer service, sales. We value diversity at Extra Space Storage. We do not discriminate on the basis of race, religion, color, national origin, gender, sexual orientation, age, marital status, veteran status, or disability status. If you are a current Extra Space employee, please apply through the "Find Internal Career Openings" in Workday. Extra Space Storage is the second largest operator of self-storage facilities in the U.S. Since we were founded in 1977, we’ve taken the storage industry by storm. In 2015 alone we added 1.6 Billion dollars in new acquisitions to our already large property portfolio. The cornerstone of Extra Space Storage is successful partnerships with our stakeholders, partners, investors and customers. Our goals are driven by an impassioned, dedicated workforce that thrives in the innovation driven corporate environment. We are the best, at getting better! Knowledge is power and experience is valuable. This is why we strive to attract the best candidates for every position at Extra Space Storage. Every position is valuable to our success from our executive management team, corporate employees, on-site managers and call center team. Attracting the best candidates in any field requires a commitment to job satisfaction. At Extra Space Storage, job satisfaction is high, this is why we have one of the best retention rates in the business. We know that our success depends on our team loving their jobs! An Extra Space employee is number one valued and knows they are invaluable to the team, customer and company. Second they are passionate enjoying a challenging and rewarding career path armed with the tools they need to succeed. Add a fun work culture and spectacular offices makes Extra Space a pretty amazing place to work. Self storage for your household and business storage needs. Don't see a position in your area of expertise? Submit your profile to our Talent Community to be considered for future opportunities.